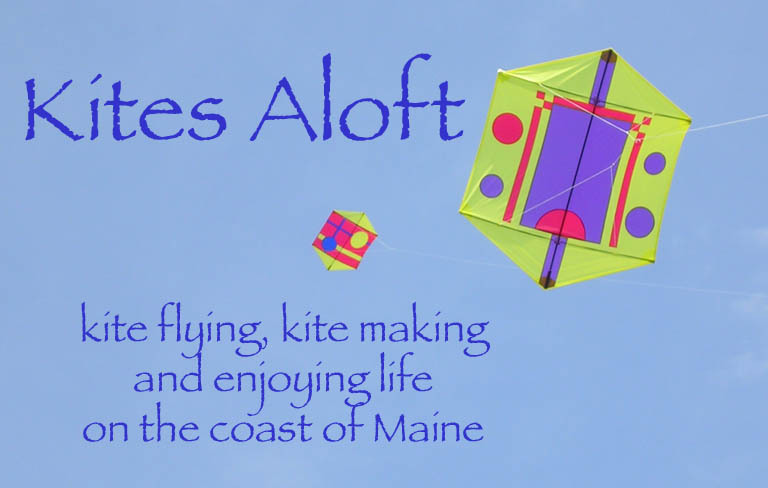 The 2010 National Kite Month started in Maine with the Noreasters Kite Club's Rokkaku kite fly on April 3 at Bug Light Park in South Portland.. We couldn't have asked for better weather in early April. We had a nice southerly breeze at around 10 mph and temps in the mid 60s. The wind held steady for most of the day, perfect for most of our kites, allowing for more kites and few tangles. At one point we counted 16 rokkakus in the air at one time along with many other kites. Bug Light Park will be hosting the Bug Light Kite Festival, sponsored by the South Portland Historical Society on May 8, 2010.